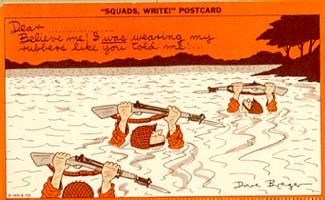 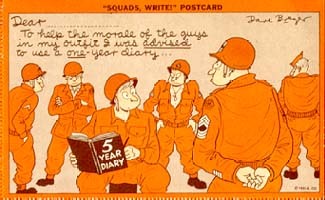 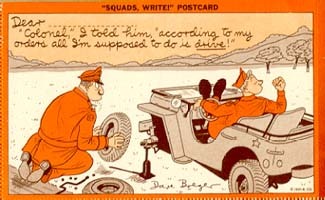 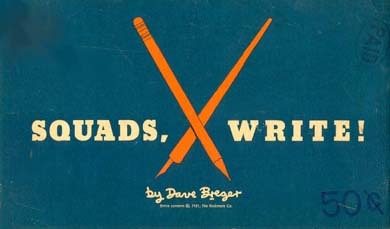 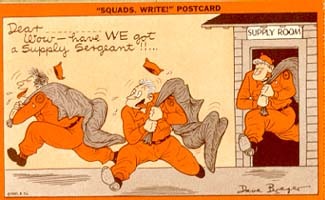 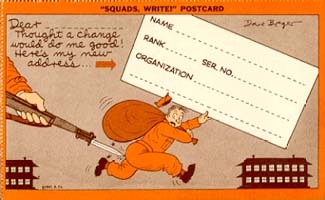 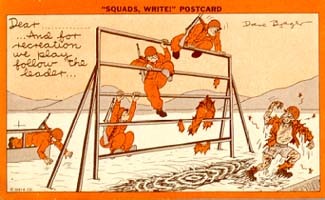 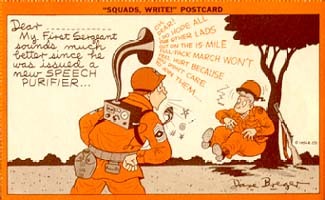 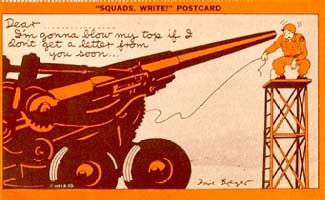 In 1951, with all his other activities, Dave Breger found time to publish a new book of post cards Squads, Write. 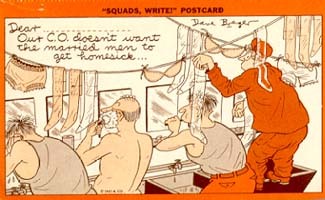 . . a quick, easy, convenient way to remember the home folks! 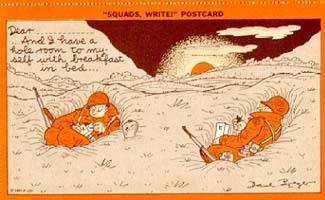 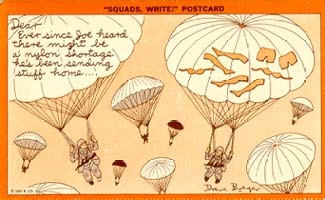 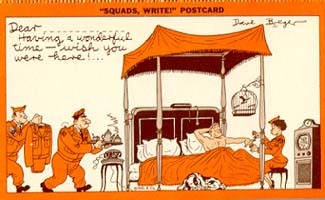 The book contained sixteen different - perforated for easy removal - postcards depicting a dozen army life situations - all bound to make you laugh. 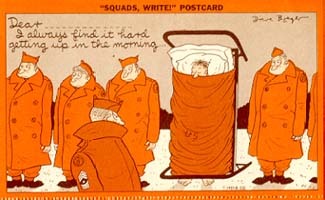 Each of the sixteen cards was printed twice giving the G.I. 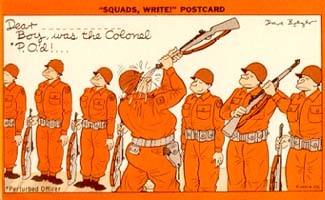 who purchased the book 32 New, Army Post Cards for 50 cents. 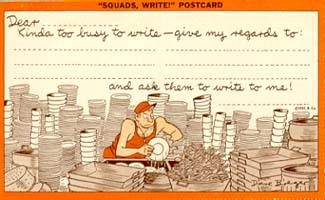 Who can remember when 50 cents would buy 32 postcards? 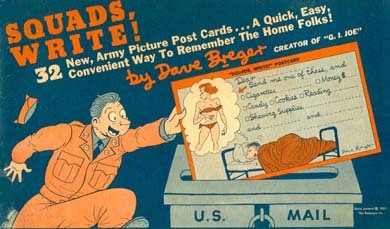 The following checklist is arranged as the cards appear in the book.